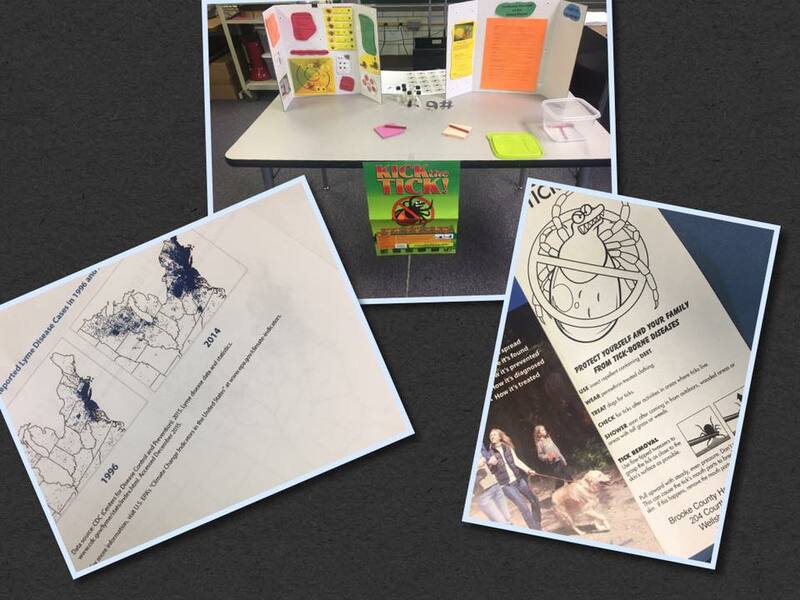 Brooke County Health Department works in conjunction with the Brooke County Schools to provide health and wellness education for school age children. 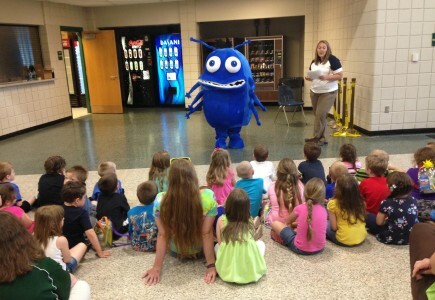 Pictured below is Gary the Germ that drops by the kindergarten and Pre-K classes to help them learn about what germs are, how they are spread, and what they can do as children to prevent the spread of germs. 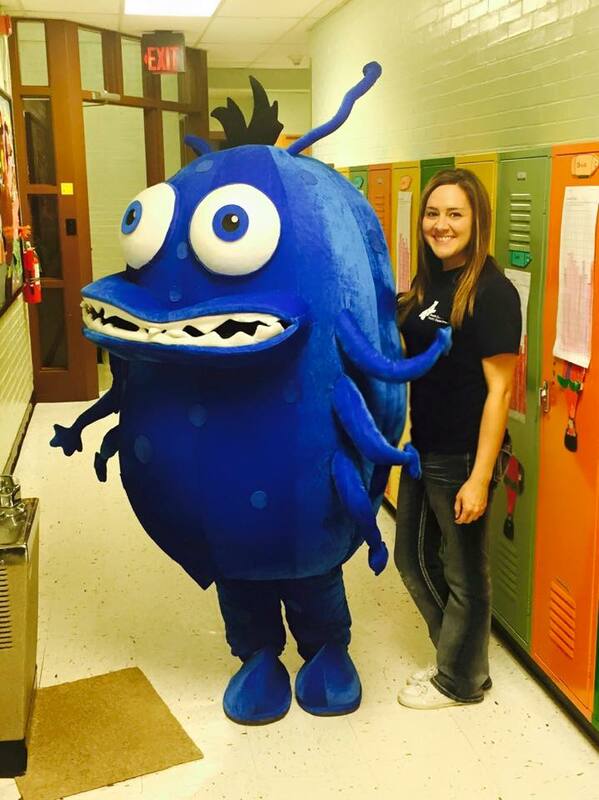 Please call the Brooke County Health Department if you are interested in Gary making an appearance at an event. 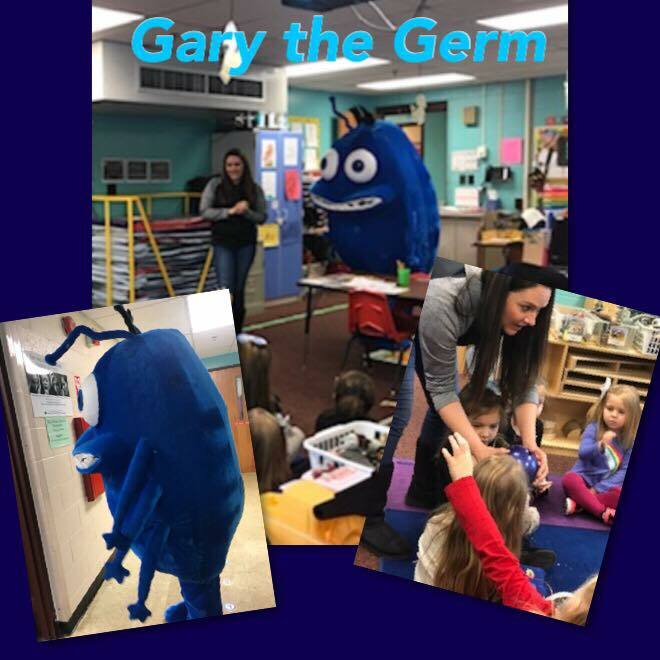 Gary the Germ in Mrs. Perez class . 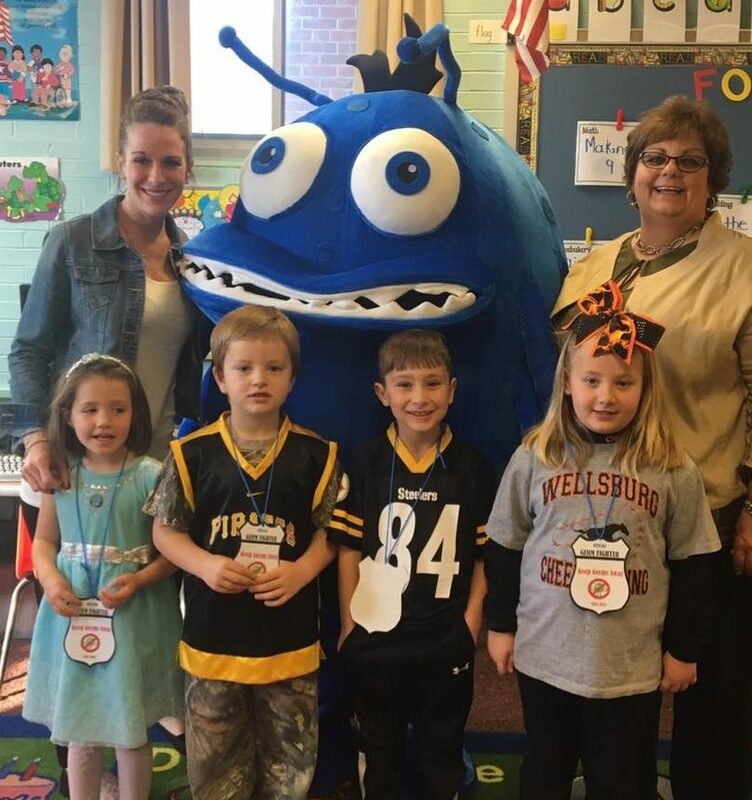 The kids in the county earned their official “Germ Fighter” Badge.